A new roof in Dayton, Ohio is an investment in the future and protection of your home. You need honest cost estimates, first-rate manufacturers’ products, and skilled installation. You’ve come to the best place to get all three, and more. A new roof in Dayton, Ohio may be less expensive than you think. Call 937-681-8910 for a free estimate. If your home is “in its teens” it is time to start planning for a new roof in Dayton, Ohio. Simply put, our sun, wind and rain rapidly deteriorate older roofing technology. And “older” can mean a roof installed ten years ago. There have been innovations in durability and strength developed in the past decade which will enhance your new roof in Dayton, Ohio. Rest assured your new roof should last longer than the one it replaced. Some manufacturers are so confident of the durability of their roofing materials that they now offer Lifetime performance protection. Some metal roofing products carry 50 year manufacturer warranties. 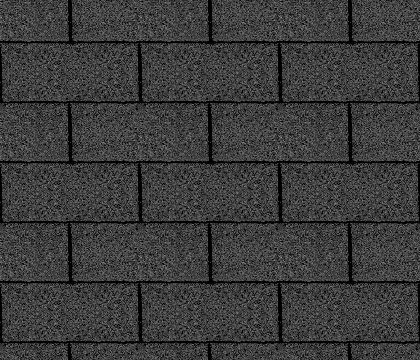 The only Shingle we use. This means we have the ultimate trust in this manufacturer’s standards for a superior product and for customer service that will back it up. According to an old saying: You don’t have to wait for a leak, or for wind to rip off shingles or panels to give us a call. The estimate is free and there’s no obligation. We’d like you to consider that we are a local, family business. We’re going to tell you honestly if it’s time for a new roof in Centerville, Ohio or if there are other options to extend the life of your roof. Integrity keeps us in business. “Tear off” is an industry term for the labor costs of removing your old roof. The time needed to felt, or tarpaper the new roof will be calculated. If decking or wood trim edges of the roof need to be replaced on your new roof in Dayton, Ohio you will get detail on the labor for this step. Wet wood replacement, insulation and any structural repair will add cost. Finally, the labor for the re-surfacing itself will be calculated. Time for cleanup and hauling off the old roofing will be a factor. Your free estimate will be computed by the owner of our business himself, to set a standard for the customer service you will receive, as we add protection to the largest investment anyone has – their home. Please give South Dayton Roofing a call today! South Dayton Roofing - Quality Comes First!